Cup Racer and Switch owners… the popular Honda Civic Si is back! Completely revised decals and revised tooling make it a perfect fit on Cup Racer cars as well as many other “Mini” size cars with 225mm wheelbases. We’ve added front/rear light buckets for the ultimate in realism. The huge vinyl pre-cut decal sheet comes all of the good stuff: window lines, tinted rear/side windows just like the real Civic Si (EK9), two different radiator/intercoolers, official Honda logos and even some retro HPI logos thrown in. Like all HPI bodies, the Honda Civic comes with a clear protective overspray film, window masks and a large pre-cut decal sheet. The body also has drill locations marked for HPI Cup Racer cars, making it easy to line up the body mount and antenna holes. This high torque SF-50 Servo is a direct replacement for the SF-5 servo found on HPI trucks and buggies. High torque and a tough metal output gear give it the strength needed for applications like the steering of the Savage XL, Savage Flux, and Vorza Flux. If you’re looking for more torque, the SF-50 is an easy bolt-in upgrade for the HPI SF-1, SF-10, SF-2, SF-20 servos. These Pinion Gears for the Brama 18B buggy give you a wide range of gear ratios to choose from. Each pinion is precision machined for high efficiency and a smooth gear mesh. The number of teeth laser etched in two places, making identification quick and easy. Each package contains one pinion gear and one set screw. These Flare Wheels are molded from heavy duty nylon for strength and durability. The 5 spoke design gives them an aggressive look. These are option front or rear wheels that widen the stance of the Brama 18B 1/18th scale electric buggy. Sold in pairs. These Square Step Tires have small round outer pins for high grip in dirt, with a square step transition to larger diameter supporting pins for reduced tread squirm. These are option front or rear tires for the Brama 18B that give increased traction, especially suited for off-road conditions. Sold in pairs, inner foam is included. This Universal Drive Shaft for the Vorza Flux buggy delivers efficient transfer of power and quicker acceleration. It’s machined from high strength steel for extra durability, and fully rebuildable to add extra life when it comes time for maintenance. This universal drive shaft is factory designed, factory manufactured and team tested for the correct fit. Each package contains one universal drive shaft that replaces the stock center rear dogbone. Savage owners can use this Aluminum Wheel Hex Hub Set to mount the wide variety of Baja 5B wheels and tires on their trucks. The larger diameter wheels look great on Savage trucks, and you can even mount up a set of paddle tires for sand dune action. The set contains four precision machined aluminum hubs that are gray anodized and have serrated locknuts to keep the wheels securely attached. Use the HPI Z956 wrench or a 24mm hex socket for the wheel nuts. Lower your CG with our all new lightweight D8 Clear body. Lower your CG with our all new lightweight Ve8 Clear body. Repair parts for WCE Drive Shafts #67170, 67171, 67174, 67177, 67178, and 67179. It will not fit to #67407 drive shaft. Tune your D8 and D8T clutch with the slightly stiffer than stock, silver clutch spring. The extra tension on the clutch springs allows the engine to rev higher before engaging the clutch. Increase your Ve8’s strength and simplify your chassis layout with the all-new one-piece motor/diff mount. This part also helps support the center diff and the motor mount to ensure constant and positive gear mesh. Beautifully machined from aluminum and topped off with a coat of hard anodizing for that factory look you need. HB Megabite tires are fantastic mini-pin tires that are suitable for hard & dry off-road surfaces such as hard-packed clay (including ‘blue groove’), light dust conditions, and regular clay. With hundreds of short square pins arranged around the carcass providing fantastic traction on the corners and a central double-row of extra-wide treads giving you excellent acceleration and stopping power, you can’t go wrong on well-groomed, dry, hard dirt when you use HB Megabite! The tire body has hundreds of wide rectangular lugs spaced around the carcass, providing excellent forward traction and mud-slinging ability to keep the treads clear and the tire free from dirt build-up. The square sides of the treads give supreme cornering grip for extra confidence in technical track sections. Running down the centre of the tire is a double row of tread blocks spaced even farther apart for excellent straight-line stability at high speeds. The carcass shape makes it perfect for rutted and bumpy terrain, because the curved sidewall doesn’t dig in and cause grip-rolling through too much traction. The world famous HB Rover tire now comes even softer! The HB Rover-EX tire works great in cold conditions or if you just can’t get enough traction! The treads are slightly beefed up to compensate for the softer compound and maintain the carcass shape. Now you can get our championship winning tires in a whole new tread pattern, opening up a broad spectrum of previously uncrawlable rocks for you to conquer. 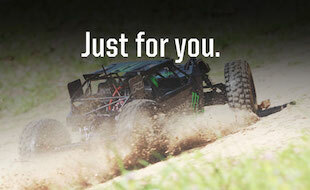 If you’re not crawling with HB tires, you’re just spinning your wheels! Pink is our softest compound and works great for competition and low traction surfaces. er apart for excellent straight-line stability at high speeds. The carcass shape makes it perfect for rutted and bumpy terrain, because the curved sidewall doesn’t dig in and cause grip-rolling through too much traction. The large tread lugs on the HB Proto tire are durable yet still provide excellent grip making them good all around tires that are best suited for soft terrain and long mains. This high torque servo saver adapter is made for the SH-33PS digital servo used in the HB Cyclone 12X car.